Otosclerosis is a type of hearing loss involving the middle ear. It is a result of abnormal bone growth in the ossicles of the inner ear, usually of the stapes, which is one of the 3 inner ear bones (ossicles) involved in the conduction and amplification of sound. Under normal circumstances, these three bones move and have the ability to amplify sound up to 3 times. In Otosclerosis the bones almost become "stuck" together, preventing proper movement and normal hearing. Symptoms of otosclerosis usually appear between the ages of 10-30 years. The most common symptom related to otosclerosis is hearing loss. Both conductive and sensory types of hearing loss may occur. In some cases both types of hearing loss are present, this is called mixed hearing loss. The loss may be gradual and may begin with an inability to hear low-pitched sounds or whispers. In otosclerosis, up to an estimated 60 decibels of your hearing can be lost, which can be equivalent to some levels of normal conversation. It is can particularly be difficult to hear conversations when background noise is present. Tinnitus or dizziness may also occur with otosclerosis. If your doctor suspects that you have otosclerosis she will probably ask you very specific questions about your family history since this disease can be inherited. An audiogram and tympanogram can be used by an audiologist or otologist to determine the degree of hearing sensitivity and conductivity. A CT scan can give a definitive diagnosis of otosclerosis by showing the level of bone overgrowth which would differentiate this disorder from other causes of hearing loss. Your doctor may perform other tests to rule out similar conditions that could be causing your symptoms before diagnosing otosclerosis. If your symptoms are mild a "wait and see" approach may be the best option where you do nothing but have your hearing tested on a regular basis. hearing aid – amplification of sound may help reduce the level of hearing loss, hearing aids are more effective in treating conductive types of hearing loss caused by otosclerosis but may help some people with sensory hearing loss. calcium, fluoride (common in France), and vitamin D may have some effect in reducing hearing loss, however, the research is poorly supported and not well recommended for supportive therapy. It is usually most effective in the early stages of the disease. While there is no guarantee for a cure in surgical procedures, stapedectomy or stapedotomy may cure the disorder or help decrease the symptoms. This surgery involves removing the diseased bone (stapes) and replacing it with a synthetic implant. When successful hearing can be improved for many years after the surgery. In rare cases, the procedure may worsen the symptoms, so an otolaryngologist should be consulted on the risks versus benefits of these surgical procedures. 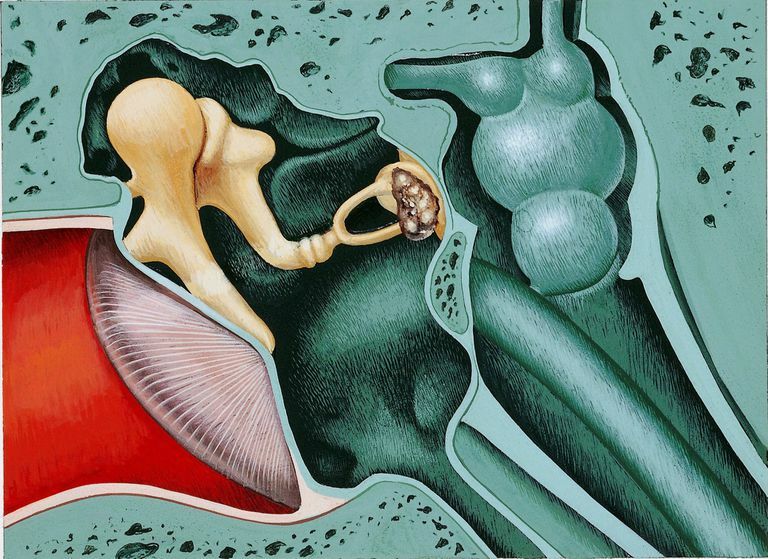 Surgical treatment is usually only effective for conductive types of hearing loss related to otosclerosis. The type(s) of treatment which may be beneficial to you depends on your specific type of hearing loss and which bones or structures of your ear have been affected by otosclerosis. Research surrounds causes of otosclerosis, however, genetics do play a role in the inheritance of this disorder. There is some evidence that gene mutations affecting your collagen can contribute to the development of otosclerosis. Genetic causes of otosclerosis are still being studied but research suggests that if one parent suffers from otosclerosis each child they have will inherit a 50% chance of developing the condition. Another cause without clear understanding is that hormones involved in pregnancy may lead to this disorder as well. Existing otosclerosis often becomes worse during pregnancy and based on this there are theories that avoiding supplemental estrogen should be avoided or that in cases where there is an excess of the hormone estrogen using estrogen blockers may be beneficial. Evans, A.K. & Handler, S.D. (2015). Evaluation and management of middle ear trauma. National Institute on Deafness and Other Communication Disorders. (N.D.) Common Sounds. National Institute on Deafness and Other Communication Disorders. (2013). Otosclerosis. American Hearing Research Foundation. Otosclerosis. Updated 10/2012.